Free Willy indeed, well this particular Killer Whale could not resist a free lunch, and thankfully it was just a fish and not the guys on the boat. 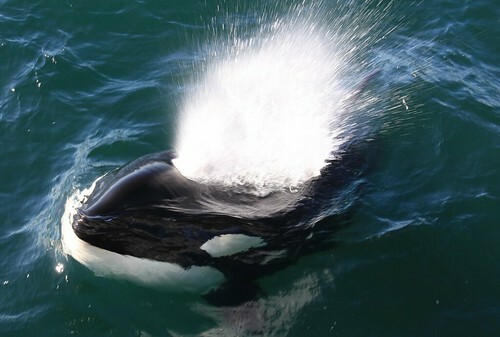 Some guys in Alaska were out on their charter boat fishing for Halibut but got a big surprise instead, as a killer whale swam up to the boat to steal their catch. It is common in Alaska to see Killer Whales, but as a general rule they keep their distance from boats and humans. After watching this video several times I cannot believe that the guy with the fishing rod did not just toss his pole in the water. I would have freaked out and just let go for fear of getting pulled in the water. For more details on this story and pictures click here.